The only breed to be descended from a military mascot dog. Likes to stay close to its owner and therefore at low risk for running away. Cheerful and affectionate, they are devoted to their family but wary of strangers. 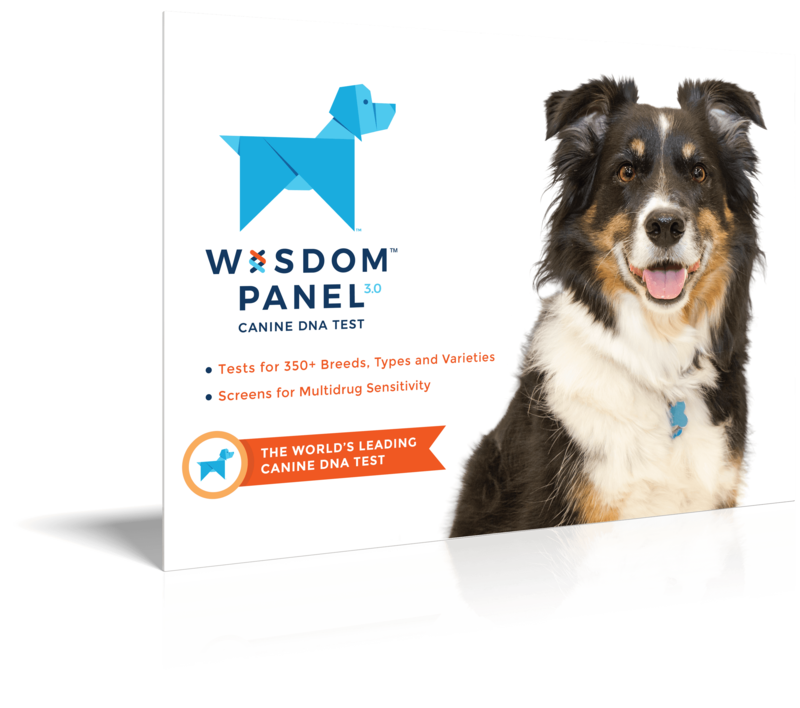 Intelligent and docile, makes an excellent companion and a good family pet. May be nervous or shy with strangers. 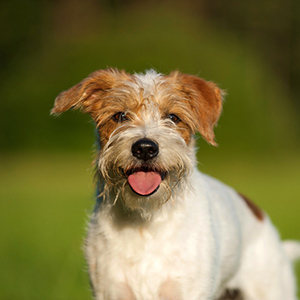 This breed with the endearing furnishings originated in Germany in the 1940s. Their claim to fame is that they are the only breed to be descended from a military mascot dog. 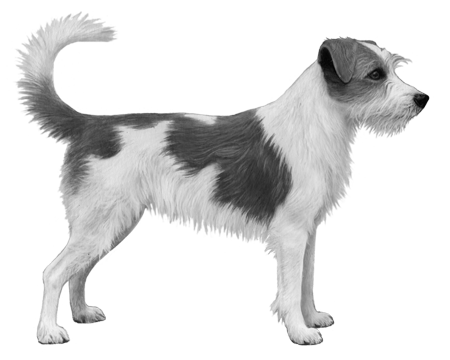 The Kromfohrlander Is through to have been developed from a terrier and griffon-type breed resulting in two varieties, the smooth and wirehaired. Both the wirehaired (Rauhaar) and smooth haired (Glatthaar) coats on the Kromfohrlander are of medium length and as noted the wirehaired version sports quite a distinctive beard while the smooth hair variety tends to feature a longer coat overall. 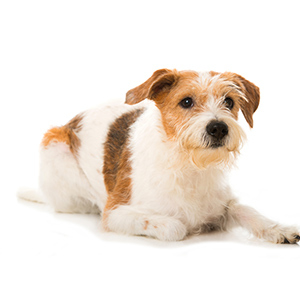 The wirehaired variety resembles its terrier roots, while the smooth haired variety is quite similar in appearance to a spaniel. This often leads to the assumption that they are two different breeds, when in fact they are two varieties of the same. 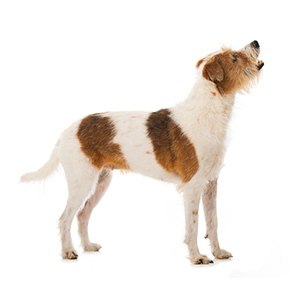 Coat colour standard for these dogs is brown, tan, or “buff” markings on a white background with a symmetrical blaze on the face. 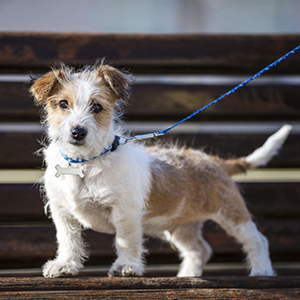 These dogs are lively, good-natured and intelligent, but unlike some of the other breeds in the Terrier group, they actually have a very low drive for hunting. They are however, adaptable to many situations and are said to be “people dogs” who rarely stray far from their owner. They can be initially hesitant around strangers and children, but once more familiar will be a friend for life.